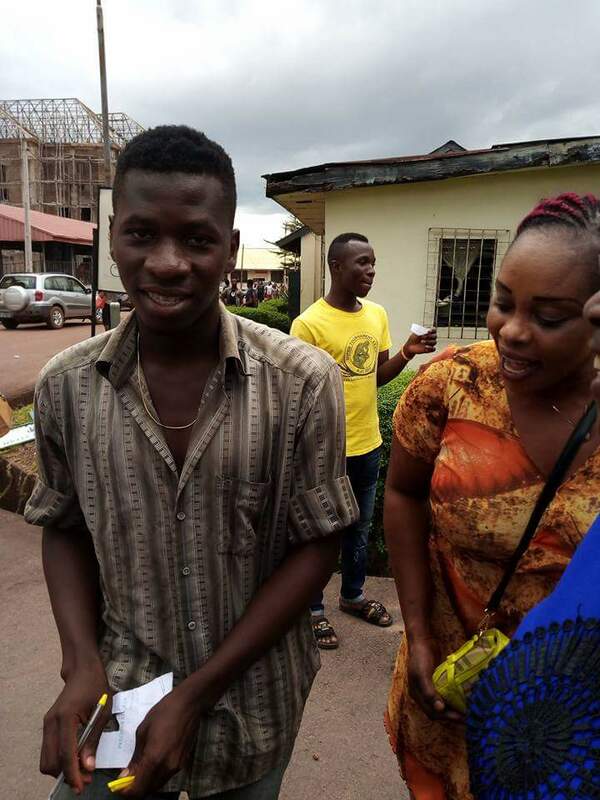 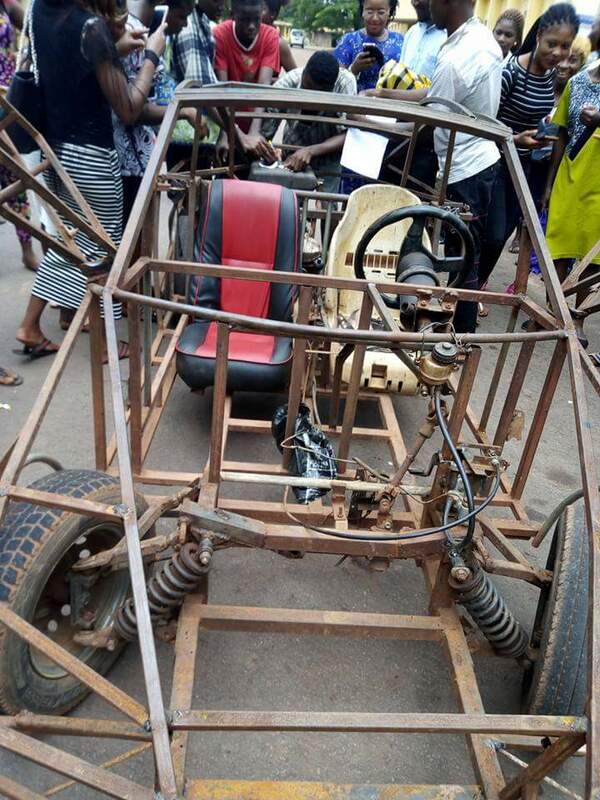 Last month, a young man made the headlines after driving his "customised vehicle" to the Institute of Management and Technology (IMT) in Enugu state. 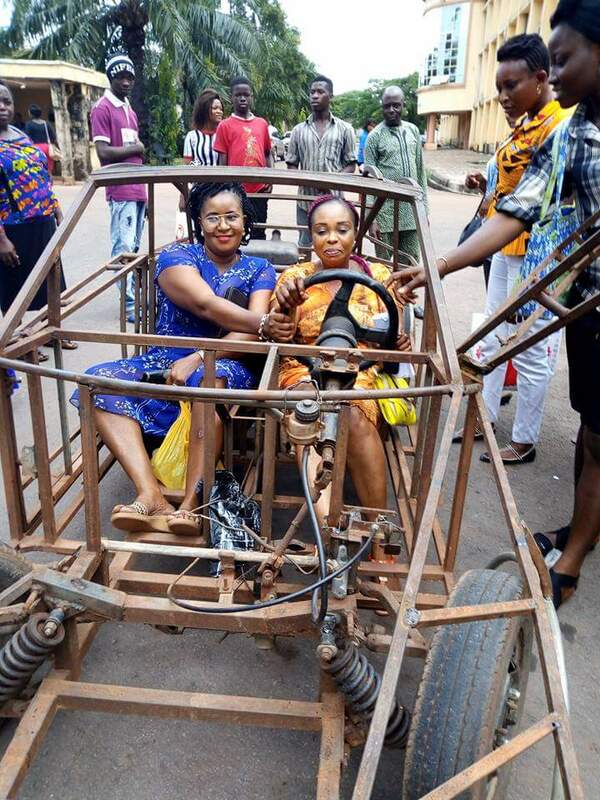 The young man who was said to be test-driving the “customised car” , drove it round the school to the admiration of other students. 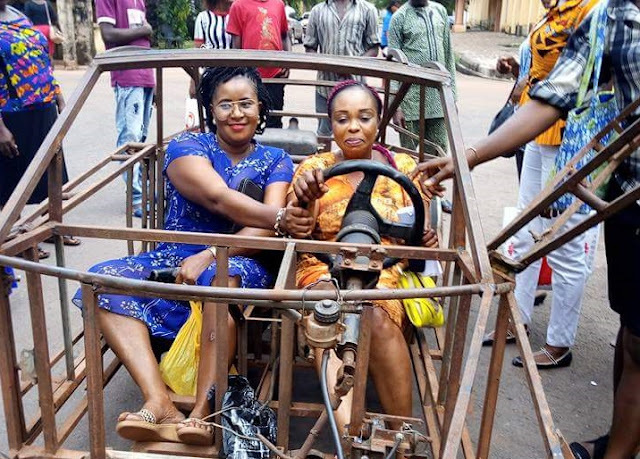 Recently, the 'custom made vehicle' was spotted again in Enugu metropolis, as people gathered including two excited women to get a feel of it.